If you are subscribed to my repository’s RSS feed or if you are using slackpkg+ to keep your Slackware system updated, you will already have noticed and are probably already using the new packages – for the rest of you, here is the harvest of last week. Chrome and Chromium were updated to version 33.0, bringing fixes for 28 security issues. The new version number is 33.0.1750.117 to be exact. 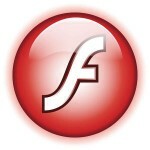 In the same locations you will also find updated packages for chromium-pepperflash-plugin and chromium-pdf-plugin. Both these packages contain binaries taken from the official Chrome distribution: respectively an Adobe Flash player and a PDF reader plugin. The Flash player is a security update (new version of the Pepper Flash plugin is 12.0.0.70), just like the other Flash player plugins I will mention further down. LibreOffice 4.2.1 packages for Slackware 14.1 and -current are ready too. The first minor increment in the 4.2 series took only 3 weeks, solving over 100 bugs which were introduced because of the relatively large amount of new code that was added since the prior 4.1 series. You can read more in the ChangeLog for 4.2.1. Note that I ship my LibreOffice 4.1 and 4.2 packages with additional “libreoffice-dict-<language>” packages, containing dictionary and spellchecker support! If you are still running Slackware 13.37 there’s LibreOffice 3.6.7 for which I also have packages, and users of Slackware 14.0 are served well with LibreOffice 4.1.4 (I will compile packages for 4.1.5 shortly). The new pipelight release brings updates and fixes. More Windows browser plugins are supported, but being able to view Netflix will still be the major benefit for many of its users. Note that the update will also bring you the newest Flash Player version (fixing several security issues as already pointed out when I wrote about Chrome’s PepperFlash update). Together with the newest pipelight, I also created new packages for its wine-pipelight dependency, bringing the version of Wine to 1.7.13. Let me remind you that in my original post about pipelight, you will find full installation and configuration instructions, as well as a troubleshooting section. Posted: 25 February, 2014 in Slackware, Software. That will be an error on your side, as a result of a partial download. I checked the server file, it is fine. Hi Daniel, you’re right… it has been fixed now. @Erik you’re right it was at my end, sorry. Libreofice 400MB bigger than previous release. ERROR: Verification of the gpg signature on CHECKSUMS.md5 failed! This could mean that the file is out of date or has been tampered with.